Here are some concepts for main menu screens. 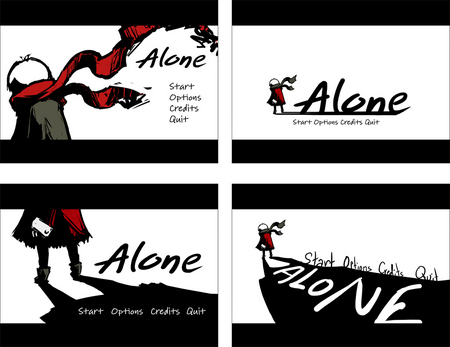 These are from when the game was titled "Alone." More coming up later today!